View The Obituary For Wendell Earl Forsythe. Please join us in Loving, Sharing and Memorializing Wendell Earl Forsythe on this permanent online memorial presented by Carroway Funeral Home. View The Obituary For Horace Leonidas ” Lonnie” Loper. Please join us in Loving, Sharing and Memorializing Horace Leonidas ” Lonnie” Loper on this permanent online memorial presented by BELL-CYPERT-SEALE FUNERAL HOME. View The Obituary For Howard Fred Fink. Please join us in Loving, Sharing and Memorializing Howard Fred Fink on this permanent online memorial presented by Taylor Bros. Funeral Home. View The Obituary For Ruby Virginia Davis. Please join us in Loving, Sharing and Memorializing Ruby Virginia Davis on this permanent online memorial presented by Taylor Bros. Funeral Home. View The Obituary For Dorene Hitzfelder Laas. Please join us in Loving, Sharing and Memorializing Dorene Hitzfelder Laas on this permanent online memorial presented by Schmidt Funeral Home. View The Obituary For Veda Elizabeth (Allen) Bourge. Please join us in Loving, Sharing and Memorializing Veda Elizabeth (Allen) Bourge on this permanent online memorial presented by Carroway Funeral Home. View The Obituary For Althia “Dee” Dorwease Smith. Please join us in Loving, Sharing and Memorializing Althia “Dee” Dorwease Smith on this permanent online memorial presented by Fry-Gibbs Funeral Home. View The Obituary For Marjorie Edla Dominy. Please join us in Loving, Sharing and Memorializing Marjorie Edla Dominy on this permanent online memorial presented by Scanio-Harper Funeral Home. View The Obituary For Audrey Dworacek. Please join us in Loving, Sharing and Memorializing Audrey Dworacek on this permanent online memorial presented by Aderhold Funeral Home. 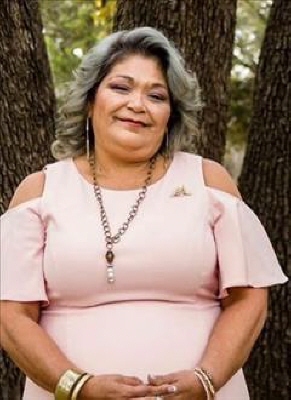 Tara Higgs Spears Tara Higgs Spears, 49, of Amarillo, passed from this life on Friday, March 15, 2019. Family and friends will celebrate her life at 2:00 p.m. on Saturday, March 23, 2019 at LaGrone Blackburn Shaw Coulter Road Chapel.